Every volunteer has a story. A story behind the moment God placed the desire in his or her heart to move from spectator to participant. 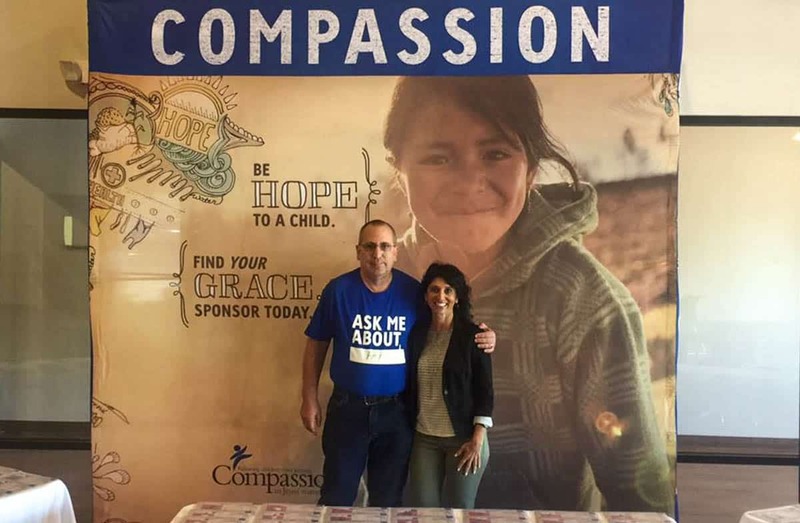 Having attended Compassion-partnered events as both a volunteer and a staff member, I’ve had the opportunity to hear our volunteers’ stories and witness the personal impact they have. 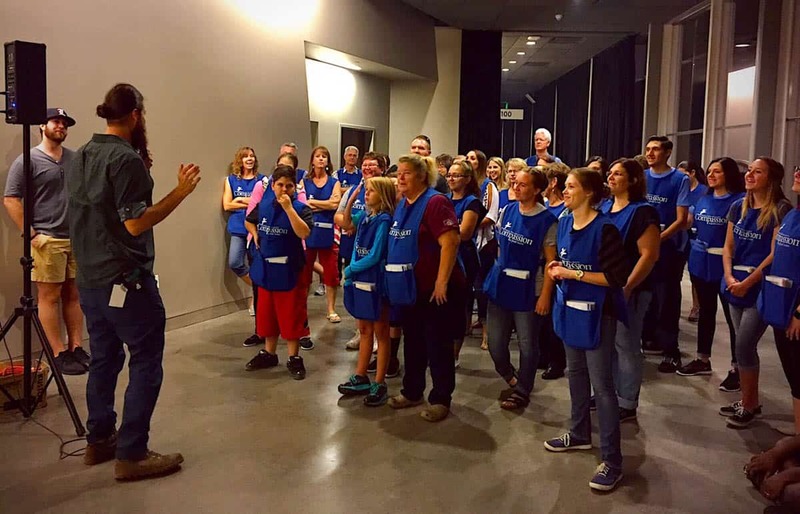 At events ranging from a music concert to the Compassion Experience to Walk With Compassion, our volunteers pray for each child represented by the child packets. 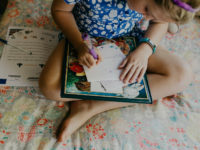 They search high and low for a child who has a specific name or birthdate for a potential sponsor. 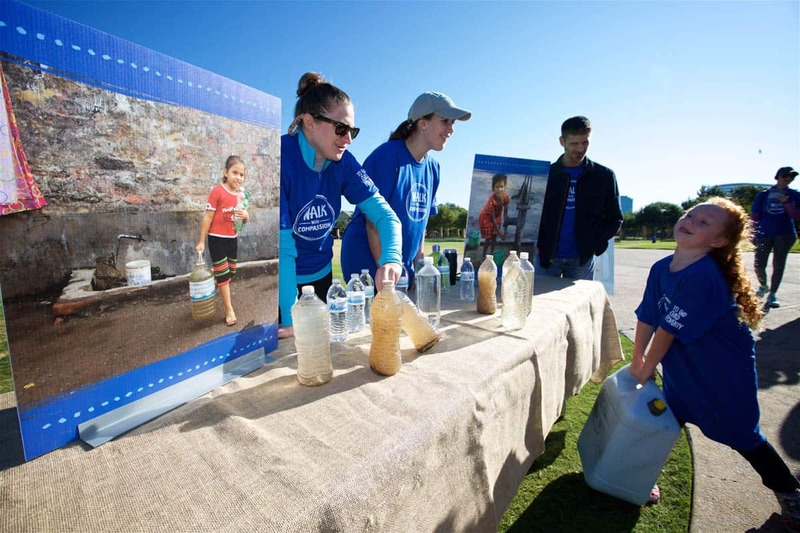 They speak with passion about how a Compassion water filtration system can change the life of one family. They tell others about their own sponsorship journey with tears in their eyes because of the impact it has on their lives. Each one of them showed up that day and put on that blue apron or T-shirt for a reason. Here are some of the stories behind the men, women and children who are acting because of the compassion that’s been ignited in their hearts for the least of these. 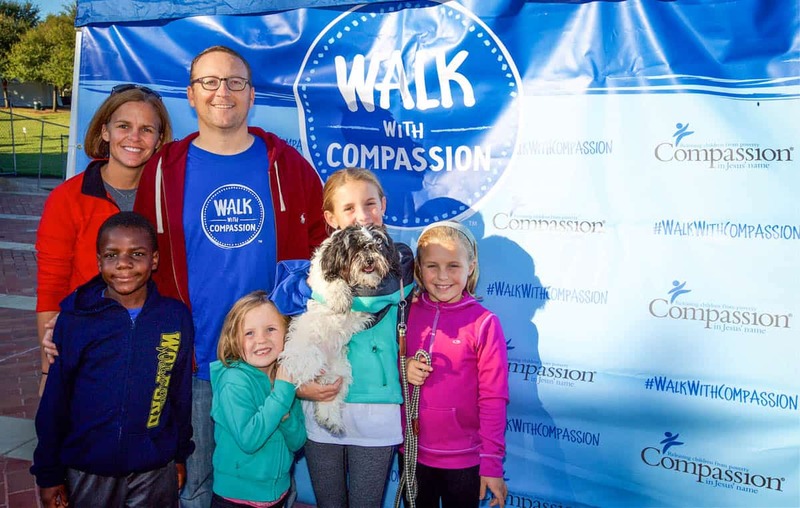 For first-time volunteer and teacher Claudia Gonzalez-Hazen of Marietta, Ga., her heart for communities in need encouraged her to find an organization that she believed in. 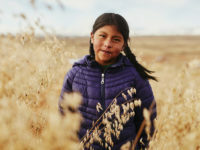 She saw with her own eyes the crippling effects poverty has on a person, a family and a community through her involvement with the organization Noonday, which equips those in the developing world with the skills they need to support themselves. Farah Tabibi (pictured above), a sponsor of nine years from Dallas, takes this to heart and truly exhibits a servant’s heart. In just three short days, Farah is volunteering at three different events. The overwhelming response I hear as to why people choose to get involved with us through volunteerism is that they want to be the hands and feet of Jesus. For Bethany Ponder, responding to a volunteer need is a no-brainer. As a sponsor, she chose to get involved with us beginning at a For King and Country concert and feels so grateful for the way God has used Compassion in her life that she wants to repay her gratitude through volunteering. For Amy and John Cozad in Texas, God has ignited a passion in their hearts that has moved them to act in a very big way. About seven years into their marriage, John was introduced to Compassion when he attended the Catalyst conference. He attended Catalyst for three years before he picked up a packet of a little boy in the Philippines who reminded him of his daughter, Taylor. This was the start of a relationship between a family in Texas and a family in the Philippines. Almost a year later, Amy felt a tug on her heart to sponsor a little girl named Alice in Rwanda. Another year passed and the Cozad’s sponsored little Andrew in Tanzania. John, Amy and their three daughters (Claire, Taylor and Eadie) were sponsoring three children when they began their volunteer journey by presenting about Compassion at their church. It was during this time in 2012, that God placed the desire in their hearts to consider overseas adoption of a little boy. Through a 2.5-year adoption process that took them on a roller-coaster journey that included a failed adoption, John and Amy were encouraged by Psalm 119:105. It was in August 2014 that they were matched with JB (short for John Bosco) from Uganda. Then in July 2015, they were finally given the green light to come home, thus completing their family of six. 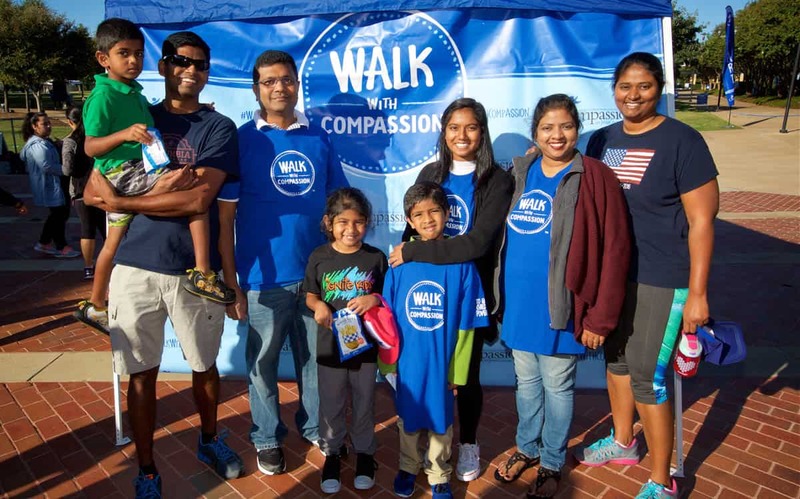 Most recently, John and his family participated in the Walk with Compassion in Dallas/Fort Worth with John acting as part of the Walk committee. “We attribute much of our initial prompting, to adopt, to our sponsorships with Compassion. The kids we sponsor are a part of our family. The letters allow us to share our lives and theirs with each other. We celebrate birthdays and milestones of our sponsored kids. We share in their sorrow when they let us know about struggles that come their way. For example, bad storms took the roof from Alice’s house and killed the goat we had bought her family one Christmas, through the Compassion Christmas catalog. It has given us a way to share the world beyond our sight with our own children. 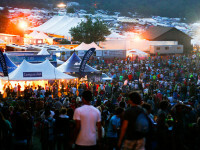 It is helping them to tap into their compassionate hearts,” John says. In the past year alone, volunteers have given more than 100,000 hours of their time at more than 500 partnered events, resulting in more than 111,000 children being sponsored across the country. We are truly grateful and humbled by the choice volunteers make to move from a spectator to a participant and serve alongside us by simply making the decision to be the hands and feet of Jesus. 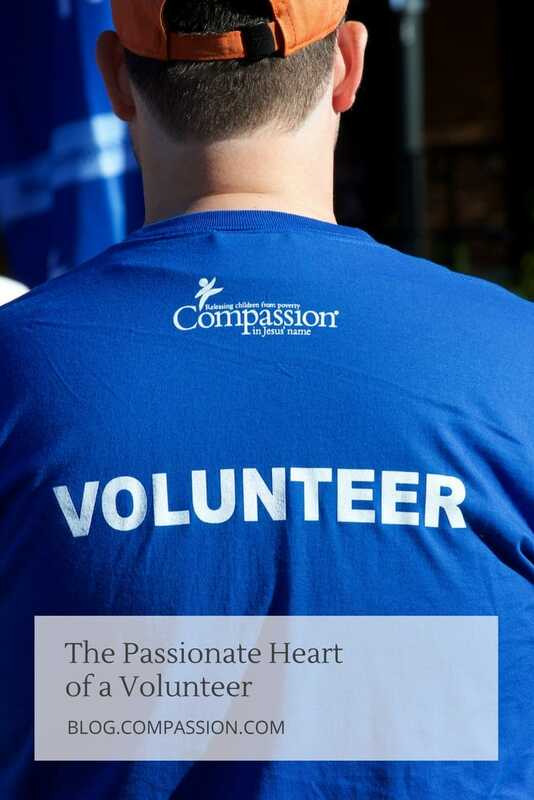 By taking on the responsibility that a blue vest or a child packet represents, they are using their passionate hearts to ignite compassion in others. Emily loves sweet tea and Mexican food. She works for the Event Volunteer Program at Compassion. 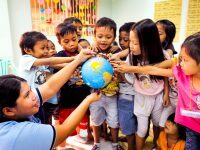 Who Is Making History in the World of Poverty?